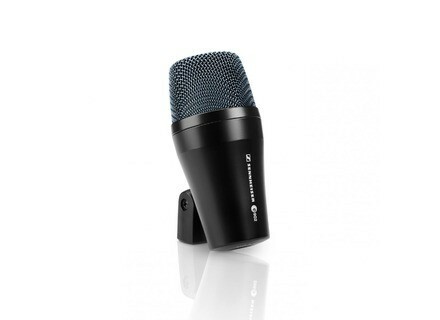 e 902, Dynamic Microphone from Sennheiser in the evolution 900 series. The Sennheiser E 902 is supposed to be Sennheiser's successor to the very nice and interesting E 602. The E 902 is intended primarily for use with a kick drum, although Sennheiser advertises it, like the E 602 as a "bass instrument" microphone. I am quite sure that it will work well on bass cabinets, but it was not an application that I got around to testing it on. This review will, consequentially, cover their use on kick drums. 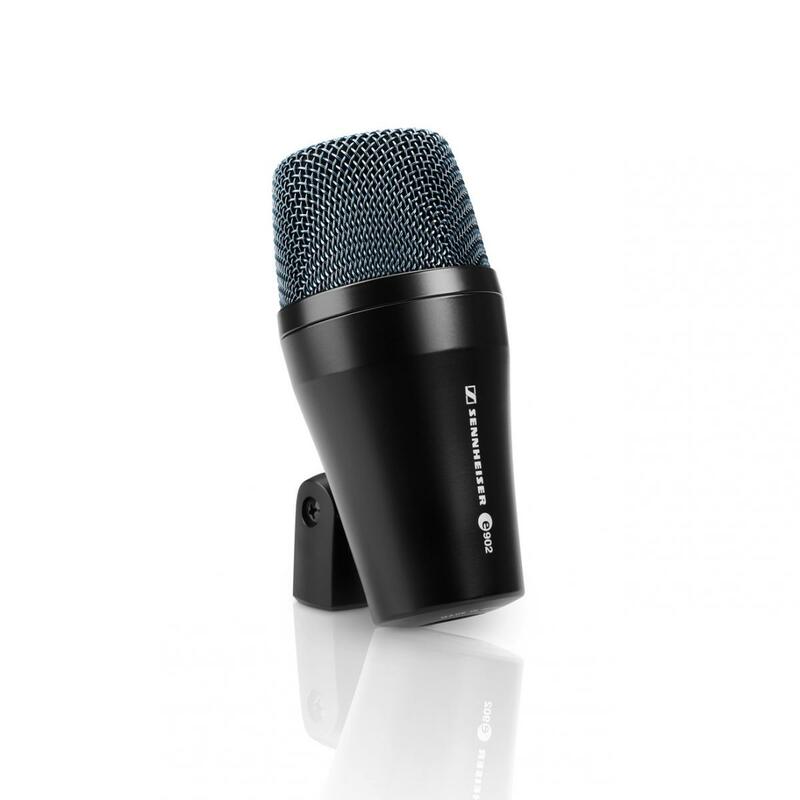 The Sennheiser E 902 is a dynamic microphone specifically designed to be used with bass instruments, so it will get utilized mostly on kick drums. It has a cardioid pick up pattern, which is nice, because if it gets placed in the hole of a kick drum, it will pick up some of the boominess in the kick. It has a bass-heavy frequency response from 20 Hz all the way to a respectably high 18,000 Hz. The E 902 has a stand mount built right onto the microphone, and this resulted in considerably less hassle in setting it up inside of the hole. This mechanism is a markedly noticeable improvement over the E 602. In my review of the E 602 II, I mentioned how the E 602 II seems to magically fix low end kick drums that had a tendency to sound boxy. In keeping true with the fact that it is a higher end microphone, the E 902 does not have this compensation built into the curve. The E 902 will make a good kick sound good, and a bad kick will continue to sound bad, so it is not a magical solution to a bad kick like the E 602 seemed to be. 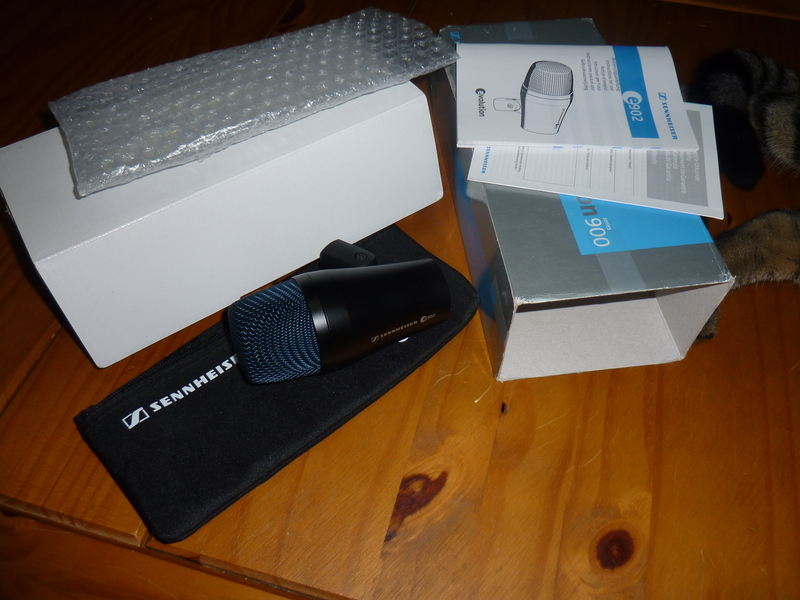 This particular microphone from Sennheiser tends to be very clean, very honest about the sound it imparts. I like the E 902 more than the E 602, but they are differently colored. The E 902 is not designed to compensate for any bad bass signals like the E 602 is not only engineered to do, but is also advertised to do. Do your research before you buy anything, and you'll have a great kick in no time! The e902 is a kick drum and bass amp mic. You could also use it for any other low frequency rich sources and likely have good results. I have also used this as one of two mics on a cello, and got a really great sound for a very sparse mix. The mic's frequency response definitely seems to be made to accent a kick drum. The transient on this large diaphragm dynamic mic is surprisingly fast, which is great news for drums, because you can get a deep, beefy sound without sacrificing punch. I also once strapped this to a small diaphragm condenser and used the combo on a floor tom, with very nice results. You'll have to phase align the resulting signals, but it's a great way to get a crisp top end with a huge bottom on a floor tom. The low-end on this mic is definitely hyped, but it tends to not be a problem because most people are going to EQ boost the same area anyway, so this just means you'll have to boost a little less later on in the process. There are a lot of kick mics out there, and this one definitely holds its own even though it's a lesser known competitor. This is at about the same price point as the AKG D112, and I will say that I do think the AKG is a better mic overall, even though you will find some situations for which this Sennheiser can do a better job. If it's your first kick mic, I would say spend the extra $50 on a D112, but if you are just expanding your selection then you definitely won't really be disappointed with this mic. All around a pretty solid kick and bass mic. I recommend it. I own it since 2 years. This is the first microphone such that I have. I find it very practical because of its relatively small size. He inspires confidence in its robustness and high weight for its size. About sound, I use it both for live recordings and he never disappointed. The few sound engineers I've met me have said every time the property, they discovered by me or they know it before. I place most often in front of the bass drum, or slightly inside, to have a full sound without too much impact the bat, and it does the job! 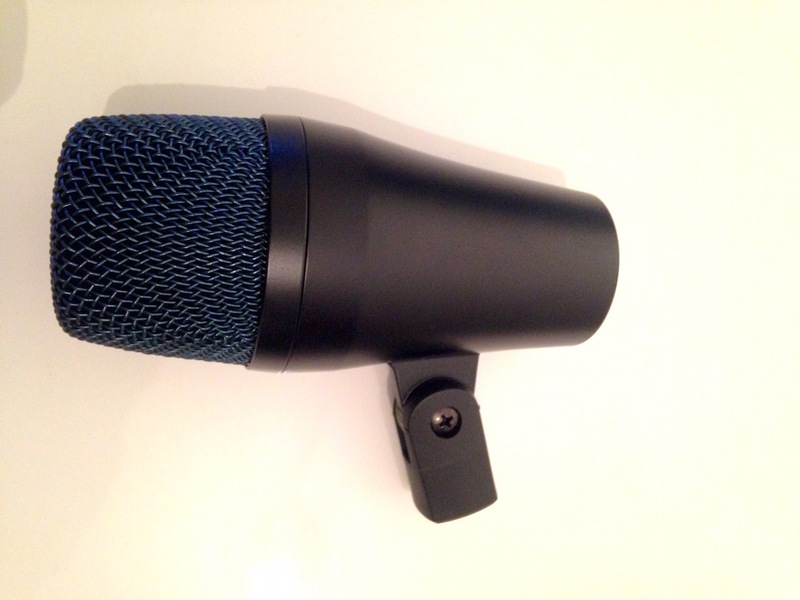 freddie54's review (This content has been automatically translated from French)" A good microphone!" For how long have you been using it? I own one since 4 years. Did you try many other models before getting this one? two microphones of the same kind: a shure pg from a drum kit and an AKG D112. What thing do you like most/least about it? most: no need for clips, dynamics, at least: I see no bah! 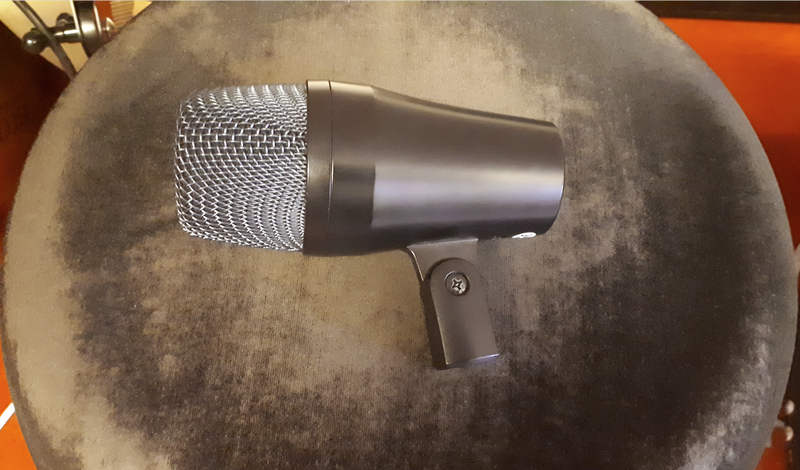 I use this microphone to dub the bass amps, I tested was the bass drum but I prefer the AKG D112 (it's a matter of taste) otherwise it remains an exellent microphone that does what you request ! What is your opinion about the value for the price? a good microphone very clear good quality workmanship that has its place on stage and hold the road! redo this choice, of course it's already done!